Berry Gordy, Jr. was born November 28, 1929 in Detroit, Michigan, the seventh of eight children to Bertha Fuller Gordy and Berry “Pops” Gordy, Sr. The Gordy parents were strict disciplinarians who encouraged their children to demonstrate a good work ethic and an entrepreneurial spirit. Gordy dropped out of high school to become a professional boxer. He served in the U.S. Army in Korea between 1951 and 1953 and returned to Detroit to open a jazz music store. When it failed, Gordy worked on the assembly line at the Ford Plant, but by 1959 he quit that job to become a professional songwriter. In late 1957 Gordy had his first hit record, “Reet Petite,” for popular rhythm and blues artist Jackie Wilson. Soon afterwards he wrote “Lonely Teardrops,” Wilson’s greatest hit. In 1959, 30-year-old Berry Gordy Jr. borrowed $800 from his family’s savings to create the Motown Record Company. Gordy first operated his company out of his apartment until he bought a house at 2648 West Grand Boulevard which he named Hitsville USA. Gordy began to attract some of the many young rhythm and blues performers emerging in Detroit during the late 1950s. They included Smokey Robinson who led The Miracles, Mary Wells, the Marvelettes and Martha and the Vandellas, and Marvin Gaye among other artists. Gordy also recruited talented songwriters such as Brian Holland, Lamont Dozier and Eddie Holland, Smokey Robinson and Norm Whitfield and assembled a remarkable group of studio musicians led by Earl Van Dyke. With the Motown “hit factory” established, Gordy carefully packaged and promoted newer additions to the company including Little Stevie Wonder, the Temptations, the Four Tops and the Supremes who eventually became the most successful of the all-girl groups of the 1960s. Between 1964 and 1967 alone, Motown had 14 number one pop singles (Gordy perfected the “crossover” appeal of the Motown artists to enlarge the audience to include white fans of “pop” music. In 1966, 75% of Motown’s releases made the charts, one of the highest percentages in industry history. Although Motown continued to attract and promote new artists into the early 1970s such as Gladys Knight and the Pips, The Commodores and the Jackson Five, its dominance of the record industry began to decline. In 1971 Gordy moved Motown to Hollywood, California to begin producing Broadway shows and movies such as Lady Sings the Blues and Mahogany both of which starred former Supreme Diana Ross and Billy Dee Williams but with only modest success. The last major T.V. production, Lonesome Dove, aired on CBS in 1989. Meanwhile many of the artists such as Diana Ross, Gladys Knight, the Temptations, and Marvin Gaye moved to other labels while early artists and writers such as Eddie Holland and members of the Vandellas and the Marvelettes sued Motown for back royalties. In June 1988 Berry Gordy, Jr. sold his interests in Motown Records to the Music Corporation of America (MCA) and Boston Ventures for $61 million. 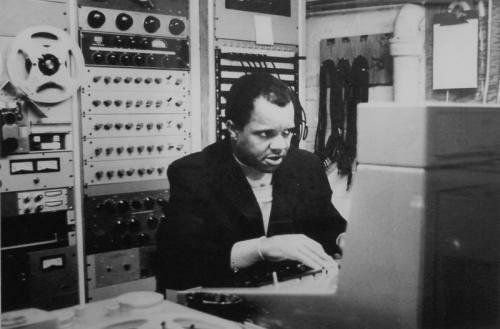 During Motown’s heyday from 1959 through 1972, however, Gordy built an independent entertainment empire that rivaled and surpassed many other recording companies in the music industry. Under his leadership Motown broadened the appeal of its rhythm and blues artists to reach audiences around the world. In that regard Motown forever changed the music industry and the perception and popularity of African American artists. Berry Gordy, To Be Loved: The Music, The Magic, The Memories of Motown (New York, NY: Warner Books, 1994); Elvis Mitchell, Ben Fong-Torres, and Dave Marsh, The Motown Album: The Sound of Young America (New York, NY: St. Martin’s Press, 1990); Bill Dahl, Motown: The Golden Years. The Stars and Music That Shaped a Generation (Iola, Wisconsin: Krause Publications, 2001).